There is a strong call for well written and informative texts that parents can use to teach their children about financial literacy. 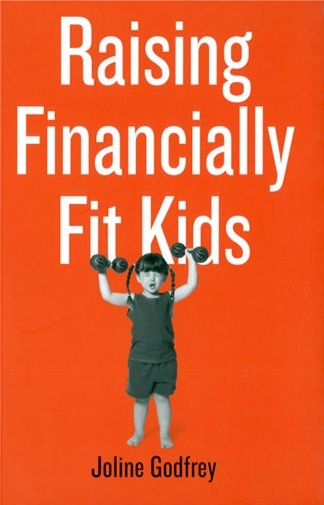 However, there are few books that are as in depth and practical as Raising Financially Fit Kids by Joline Godfrey. There are some very unique components to Godfrey’s book, particularly in how she chooses to lay out stages of financial literacy. In her book, she covers “Apprenticeship” – or ages 5-18, where she says individuals “Develop financial vocabulary, establish early financial habits and values, practice saving, spending, earning and philanthropy.” Within the Apprenticeship stage, Godfrey says there are four stages that children go through. Clearly well-versed in psychological development, she lays out social and emotional development during a specific age range and what are the appropriate financial skills to master in those age groups. It is important to note that Godfrey is also practical and realistic; she recognizes that financial literacy can sometimes come later, and that some skills are developed at different ages, depending on the child. The important thing, she says, is to remember that “this is a developmental, not a chronological, approach to raising financially fit kids” so she does encourage parents to backtrack if the skills still need to be developed by the child. 1.) Common scenarios in each developmental stage that can provide teachable moments for parents. 2.) Some very basic money skills that individuals in each age group should have or develop and how to help them develop these skills. 3.) Books and websites that inspire the entrepreneurial spirit. 4.) Inspiring quotations about independence, financial literacy, and happiness. 5.) Detailed activities that a parent can do with each age group in order to teach children how to make smart financial decisions. If you have been searching for an easy-to-read, hands-on, and practical guide to aid you in teaching your children about generosity, entrepreneurship, and financial literacy, I would highly recommend this book as a resource to you and your child. In the past couple of weeks, I have received several questions about planned giving. Most of the questions have come from lay leaders who want to begin a planned giving program in their congregation. More specifically, I have been asked about the parameters of authority and responsibility. Here’s my take on the issue. Encouraging, accepting, and acknowledging gifts (if there is no planned giving committee). Ensuring that restricted gifts are honored and properly recorded. Arranging for professional accounting of the funds. Reporting on fund activities to the governing body. Administering the distribution of funds. Ensuring appropriate checks and balances regarding control of the funds. Small congregations may not have enough human resources to create two committees. 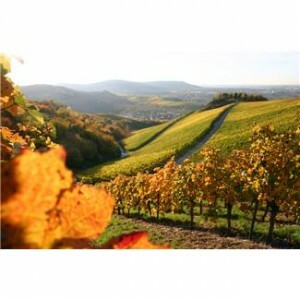 In that case, the planned giving committee is responsible for all the tasks identified above. In a congregation of seventy-five members, for example, a few committed and knowledgeable volunteers may be able to both create and implement a planned giving program and manage an endowment fund. When forming a planned giving committee, five to seven volunteers are sufficient. Ideally, each volunteer serves a three-year term, usin g a staggered appointment schedule that guarantees continuity from one year to the next. Good candidates are those who have been active congregants long enough to know potential donors. They also need a working knowledge of planned giving. Planned giving is a form of stewardship. The planned giving committee is a group of three congregants who are the fiscal agents for assuring a healthy long-term financial future. These volunteers are obligated to develop a plan that will protect the financial rights of the next generation of congregational members. 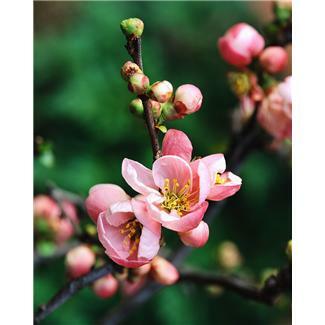 It is also imperative that all planned giving committee members lead by example and make their own planned giving donation to the endowment fund. Whatever organizational structure is created, using one committee or two, develop specific lines of responsibility and accountability. Provide for a clear and simple separation of power. Institute controls that demand more than one set of eyes and hands for accepting gifts, managing investments, recording donations, and spending endowment funds. Define the interaction of the planned giving committee (and endowment fund committee, if there is one) with the governing body, the treasurer, the finance committee, the annual budget drive committee, and any other relevant standing committees of the church. It would be wonderful if congenial relationships could be guaranteed among these groups. But at some point, conflicts are almost certain to arise. The most common situations are ones in which the governing body wants the endowment fund committee to release funds to balance the annual operating budget or to solve a pressing facility-related, deferred-maintenance need. Personal relationships can be strained when the endowment fund committee objects to or even refuses the request. Ultimately, the congregation controls the endowment fund. Create bylaws to clearly indicate that control. Create enabling resolutions indicating that endowment funds can be used only as designated by donors. Any exceptions are subject to a congregational vote, with a significant majority required to approve any exception. Ask the planned giving committee and endowment fund committee to report once each quarter to the finance committee, the governing body, or both. They should also report to the congregation at least once a year. Are You Assuring the Long-Term Fiscal Stability of Your Congregation? One of the greatest missing teachings in the American church today is the reminder to men and women that nothing we have belongs to us. Does your congregation have a planned giving program? Is the program actively growing with new bequests? If your answers are Yes, congratulations! Your congregation is one of the few Unitarian Universalist congregations that have an active planned giving program. In fact, we estimate that well over 50 percent of our congregations do not have an active planned giving program. An important element of a comprehensive financial management plan for congregations is planned giving. A well-conceived planned giving program encourages congregants to give financial support for the long-term fiscal stability of a congregation. The gifts given to a planned giving program establish and maintain an endowment fund, the part of a congregation’s income derived from donations. By providing investment income, the endowment fund becomes the vehicle through which long-term fiscal stability is assured. Conventional wisdom says that planned gifts are most often made by people between the ages of 55 and 75. Currently, almost 14 percent of the United States population is 65 years or older. The median adult age of Unitarian Universalist members is estimated at 54+ years, and their average household net worth is estimated to exceed $232,000. Planned giving can be accomplished by several means. For example, a person could name the church as a beneficiary of a life insurance policy or retirement plan. Charitable bequests, however, are the most commonly used form of planned giving. A charitable bequest is a gift given to charity through the provisions of a legal will or living trust. From the donor’s standpoint, bequests have several advantages that make them popular. They are relatively inexpensive to arrange, save one dollar in estate tax liability for every dollar given. They are also easy for a congregation to promote. 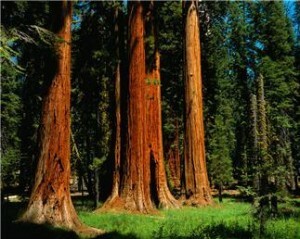 However, it is estimated that 70 percent of all Americans die without a will. It is also estimated that fewer than 10 percent of those capable of making a charitable estate gift have ever been asked. The best news is that your congregation doesn’t have to reinvent the wheel. Chapter Eight in Beyond Fundraising provides a step-by-step process to create a planned giving program. The Appendices include several important document samples that can be modified to fit the specific needs of your congregation. Money management is not always easy. The draw of consumerism can be intoxicating, and sometimes can get in the way of effectively managing a budget. I remember the experience of feeling that I needed new sneakers, a new bike, or any kind of new toy, and feeling like it really was a need and not a want. But life lessons helped me to understand money, and I learned how important it is to manage money effectively as well as feel comfortable having conversations about it. As adults, we can fully engage young children in the process of understanding and learning about money. Engaging youth in this process is a helpful way to guide and support them in hopes that their understanding of the concepts of stewardship strengthen over time. We can supplement these stewardship and money management conversations with our children by picking up texts that also discuss these topics. There are many books that can help you with these conversations, two of which are discussed here. 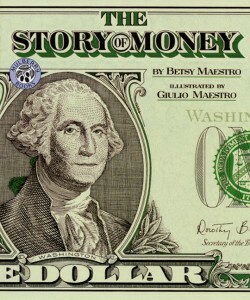 The Story of Money by Betsy Maestro is a fascinating, short (41 pages) read for young children, probably between 5-12 y ears old, that is a historical account of how the concept of money came into existence. The book begins by recounting what individuals did before money was used and how, gradually over time, money became the preferred method over trading or bartering goods. The book illustrations are fantastic, and provide children with a visual representation of what money actually looked like when it was first produced and how it changed over thousands of years. 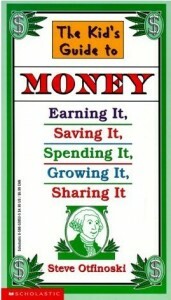 While this book doesn’t address the practical concepts behind money, learning about the history of it can be valuable for a child to understand as it creates a framework and a working knowledge of how money came to be. 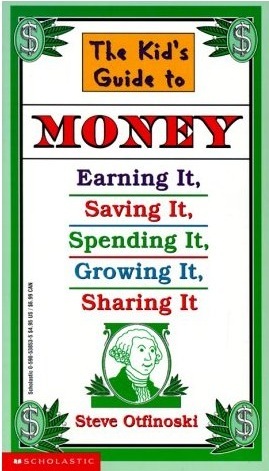 The Kids Guide to Money by Steve Otfinoski is a wonderful, practical pocket guide to all things money management; how to earn it, how to save it, how to spend it, how to grow it, and how to share it. While this text is longer (118 pages) it is extremely useful for children who have questions about anything from stock to credit cards to A.T.M. machines. Geared towards children a bit older than our first book (9 years old and up) this book can be given to a child when you first start having conversations about what to do with that allowance money, or when they open their first bank account. It’s a helpful supplement to those conversations about stewardship. We hope that these books may aid in your conversations with children and young adults about stewardship practices. Is Your Congregation Ready for a Stewardship Assessment Visit? UUA stewardship consultants provide assessment visits to congregations to help determine a congregation’s readiness to begin a strategic planning process, launch an annual budget drive or a capital campaign. There are three outcomes of an assessment visit. First, an assessment visit provides an opportunity for your congregation to get an objective assessment from a UUA stewardship consultant. Prior to the visit, congregational leaders send many documents to the consultant. Once on site, the consultant gathers more information in a series of meetings with key constituents, often including the following professional and lay leaders. Second, an assessment visit provides your congregation with specific recommendations to get “from here to there.” Based on all the gathered information, the consultant lists several steps necessary to allow your congregation to reach its long-term goals. These recommendations are given verbally at the end of the assessment visit, and are then followed by a written summary. The recommendations may address the following issues. Third, an assessment visit clarifies how the Congregational Stewardship Services program can be helpful to your congregation. The program has provided consulting services to hundreds of congregations since 1985 and each consultant brings special skills, as well as the combined skills and experience of the other consultants. Each is prepared to guide and coach your congregation through all aspects of your comprehensive stewardship needs. It’s been almost a year since we’ve launched FORTH: A Stewardship Development program, and we now have over 50 partner congregations. If your congregation doesn’t know about the FORTH Program, please take a look at our website and learn more about it. Below you will see some data from FORTH Partners who have taken our Congregational Stewardship Self Assessment. Each bar represents the average scores for each question in Section 1 of the assessment. The highest possible score for any question is 25. As you can see in the middle bar, the average FORTH Partner believes that their congregation is welcoming to people from varying socio-economic situations. Do you think that your congregation is welcoming to all? What techniques have been especially helpful? While scoring for welcoming is relatively high, many Partners indicate there is a hesitancy to talk about money in their congregation (see the third column from the left). How does your congregation approach conversations about money? Do you have any gems to share? Let’s start a dialogue about the two issues of welcoming and money. Pictured: Aggie Sweeney, Bill Clontz, Barry Finkelstein, Tricia Hart, Kay Crider, Mark Ewert, Dr. Wayne Clark, Mary Gleason, and Robin Nelson. The UUA has a group of nine stewardship consultants who help congregations with annual budget drives, strategic planning (in preparation for a capital campaign) capital campaigns, and endowment program development. 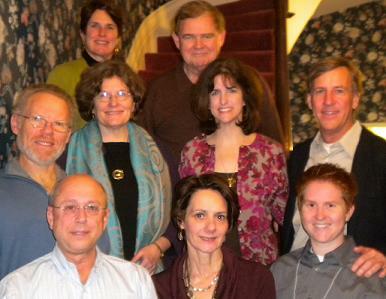 These consultants are all UU lay leaders from around the country, who have received rigorous training. The congregation lacks a clear vision and is without a consensus about direction. The congregation needs a fresh perspective from an external, impartial expert. You need help shifting from a myth of scarcity to the reality of abundance. You want to focus on broadly defined stewardship, instead of a narrow focus on fundraising. You would like to implement FORTH, a stewardship development program. 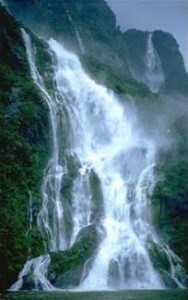 You would like to be come a FORTH Partner congregation. Leaders understand that money spent on a consultant can be a wise investment. Recently, few congregants have been willing to work on an annual budget drive. Even fewer have been willing to assume a stewardship leadership role. The congregation has someone with fundraising experience who is willing to lead an annual budget drive, but their previous efforts have not been very successful. There is conflict about which fundraising technique to use. A proposed capital campaign project is too big to rely totally on volunteers. A capital campaign project has been proposed, and a consultant is needed to determine how much money can be expected from congregants. There is no active planned giving program. There is no endowment fund, or the existing fund is moribund. The congregation has a small endowment fund that represents less than three times the annual operating budget. Last week, we talked about the importance of receiving gifts unapologetically and with gratitude, so that others can experience the joy of being givers. We also described the value of allowing someone to give you a gift without attempting to repay them. And finally, we talked a bit about how to check your motives for giving. Take people at their word. A California congregant shared that a friend was struggling with a terminal illness. The friend was feeling especially weak one day and called to ask for a ride to a medical appointment. The congregant explained how pleased he was that his friend called and that it felt like he was giving his fri end a gift. The friend accepted this, and the congregant felt good knowing that he was taken at his word. Accept compliments. “In the past,” another congregant explained, “I would frequently rebuff a compliment with a self-deprecating remark. Someone would compliment me on a meeting I had facilitated and I would respond with, ‘Gee, I didn’t really do a very good job. I forgot to mention an important point, and I allowed the group too much time to discuss another point.’ I never realized it, but my response would deflate the person giving me the compliment. I am better at accepting compliments now and am more likely to respond by saying, ‘Thanks. I am pleased that the meeting was helpful.’” The congregant has learned how to accept compliments. Be a gracious receiver. In Giving and Stewardship in an Effective Church, church consultant and minister Kennon Callahan says, “Gracious receivers become joyful givers.” When we receive a gift graciously, we can see how it gladdens the giver. 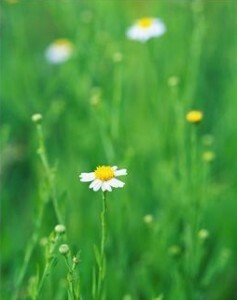 Perceiving this joy, we are more likely to give to others. And when we appreciate the gifts we receive, we are more likely to invest and grow those gifts so that we have the ability to share our wealth. Until the congregants of a faith community are willing to initiate conversations and share stories about receiving and accepting, growing and investing, returning and restoring, and joyfully giving their gifts, call, and spiritual vocation, they will be unable to change their culture of scarcity. The following suggestions have worked well for those who shared these stories. This sampling of individual stories illustrates how these congregants have learned to value the art of receiving. As such stories are shared in a congregation, the concept that receiving precedes giving will become part of the culture of your faith community. Allow someone to give you a gift without attempting to repay them. A congregant from the Pacific Northwest tells the story of his two young-adult daughters who wanted to take him to the theater one evening. He was hesitant at first because he knew that the tickets were very expensive. The show was wonderful, and they all thoroughly enjoyed it. And he realized that a big part of his daughters’ fulfillment was seeing how much he enjoyed it. Check your motives for giving. Another congregant shared a story from a recent holiday. A friend surprised her with a gift. They had not exchanged gifts in the past, and she had not bought her friend a gift. She felt embarrassed, then guilty, and was ready to create an excuse for not having a gift to give in return. She thought of saying, “I’ve ordered a gift for you, but it hasn’t yet arrived.” Fortunately, before she spoke, she remembered advice from an article written by Bonita Joyner Shield, an assistant editor of the Adventist Review. Shield said, “If the only reason you would buy them [a gift] is because they bought you one, forget it! 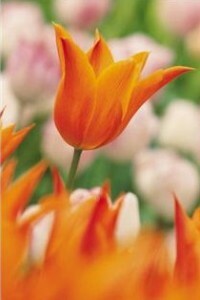 Humble yourself, and allow them the joy of giving.” She joyfully thanked her friend for the gift. Look for Learning to Receive (Part II) posted on our blog next Wednesday. In our previous blog, we spoke about creating a culture of giving. We recommended that leaders create an intentional plan to explore the meaning of giving. We suggested that by initiating conversations about giving, you can introduce the topic and reinforce the concept until it becomes a part of your congregation’s life. In this blog we will talk about initiating these stewardship conversations. Conversations about giving can be initiated in many ways. Use the pulpit, guest speakers, the newsletter, the website, the worship service, and committee discussions. Convene small groups before or after the Sunday service for several weeks. Invite the finance committee to participate in a conversation with congregants about the meaning of spiritual stewardship in contrast to the meaning of fundraising. Make “giving” a major theme at annual budget drive orientation workshops. Prepare visiting stewards (the term we prefer instead of canvassers) to discuss the concept of giving during their conversations with donors. You may also want to invite a fundraising consultant to facilitate a Mission and Giving Retreat. Focus on these questions during the retreat: What is the difference between stewardship and fundraising? What relationship can we construct among giving, compassion, and community? In what ways can we grow and invest the gifts we have received? How can we return and restore our gifts? What does generosity mean to us? How do we define the term? How will we know if we are being generous? What will it look like? What will we do with increased giving? What difference will it make? How can we make spiritual stewardship a year-round conversation? How can we frame conversations to focus less on the need for money and more on giving as a way to implement our mission? How can we help our society move away from an increasing culture of materialism? Helping congregants discover their own personal generosity will create joyful givers. Joyful givers will help create healthy congregations that view spiritual stewardship as a vital component of their ministry and that believe that sharing one’s gifts, call, and spiritual vocation is an act of worship.